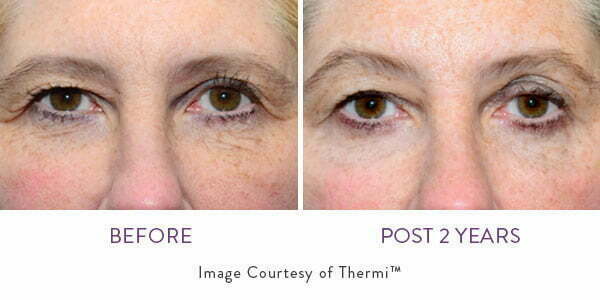 Thermi treatments are a great way to firm, tighten, and smooth your skin from head to toe! BEAUTY by BUFORD is committed to providing patients with safe, effective, and innovative cosmetic treatments—and we’re thrilled to offer Thermi™, the latest in temperature controlled radio frequency skin tightening. 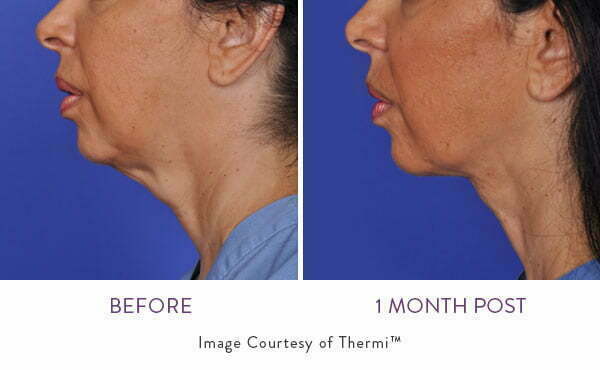 Thermi is the first FDA-approved device of its kind to utilize the science of heat to treat a variety of soft tissue concerns and provide patients with a smoother, more youthful look. Board certified plastic surgeon Dr. Gregory Buford is a nationally recognized trainer for Thermi and offers a variety of Thermi treatments to fit your needs. As Gregory A. Buford, M.D., F.A.C.S., a plastic surgeon in Denver, Colo., pointed out, the aesthetic field has begun to embrace the total body makeover concept. “This is definitely the direction of aesthetic medicine, to look at the overall patient and come up with a ‘secret’ total makeover. The reason it is secret is that a lot of people don’t want it be known that they had some work done. At the same time they want results that are noticeable, but also natural looking.” Read the full article here. Age, body changes, pregnancy…there is a long list of life events that can take a toll on the quality of our skin. Over time, a large number of people experience sagging tissues, pockets of stubborn fat, and cellulite dimples—and unfortunately many of these conditions are difficult to treat. Until now. 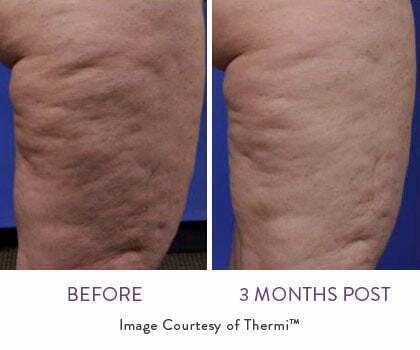 Using the patented Thermi heat technology, ThermiSmooth Body can improve skin tone, reduce small areas of fat, and even smooth away the dreaded “cottage cheese” appearance of cellulite, helping to improve the overall appearance of the treated area. Most of our patients are thrilled with their results after just three to six treatments—and they love that treatment is quick, gentle, and involves no downtime. Typically, patients are able to resume all normal activities right away, though it is normal to experience a bit of pinkness on the treated skin. During your treatment, a small probe will be inserted just under your skin. The treatment area will be numbed, and most of our patients report little-to-no discomfort. The probe will heat subdermal tissues to a specific temperature, which is monitored and regulated at all times to ensure a safe and successful result. Dr. Buford will carefully “sculpt” your desired results by moving the probe in small, precise motions, heating the targeted areas to achieve the optimal outcome. You will experience an immediate shrinkage of the tissues, with greater skin tightening results appearing gradually over the course of 6 months as collagen production in the treated area continues to increase. 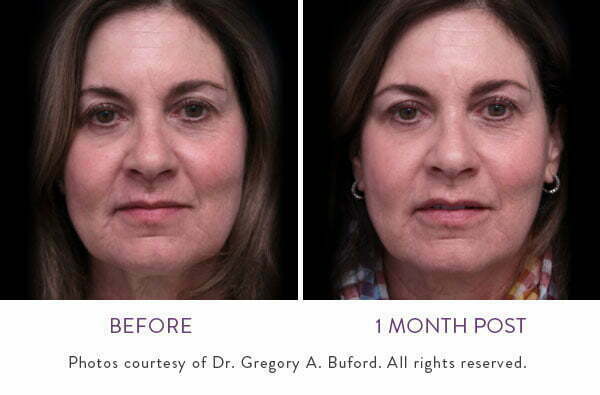 Combining non-surgical procedures often has a synergistic effect; this is certainly the case with Dr. Buford’s signature ThermiFill treatment. This two-step lip rejuvenation treatment begins with ThermiTight to stimulate collagen production for long-term smoothing and plumping, followed by Juvéderm Ultra XC injections to offer instantly fuller lips while the effects of ThermiTight get underway. During your ThermiSmooth treatment, the small applicator will be moved over your skin to heat up the target areas. Many patients report that it feels like a warm massage, and you will not experience any bruising or swelling after treatment. You’ll start to see positive benefits right away with final results appearing over the course of a few months. During your treatment, the same ThermiRF technology that helps firm sagging skin on the face and body is used to precisely heat up and tighten your underlying vaginal tissues until shrinkage occurs. After a series of two to three treatments spaced one month apart, you’ll notice your genital tissues are noticeably tighter. Treatment typically lasts around half an hour and is very comfortable—most of our patients report that it feels like a gentle, warm massage. 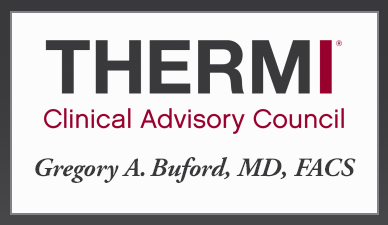 Dr. Buford is a national luminary for the ThermiRF technology and provides training and consultation on the safe and successful use of the suite of ThermiRF treatments—and BEAUTY by BUFORD is one of the few ThermiRF training centers in the nation. When you choose Dr. Buford for your ThermiRF treatments, you are choosing vast experience, expert technique, and advanced understanding of how best to help you achieve beautiful results. If you’re interested in learning more about what ThermiRF can do for you, or you’re ready to get started, give us a call! Dr. Buford and his Physician Assistant Kaitlyn would love to sit down with you for a private consultation where he can help you understand your options and make personalized recommendations for treatment.